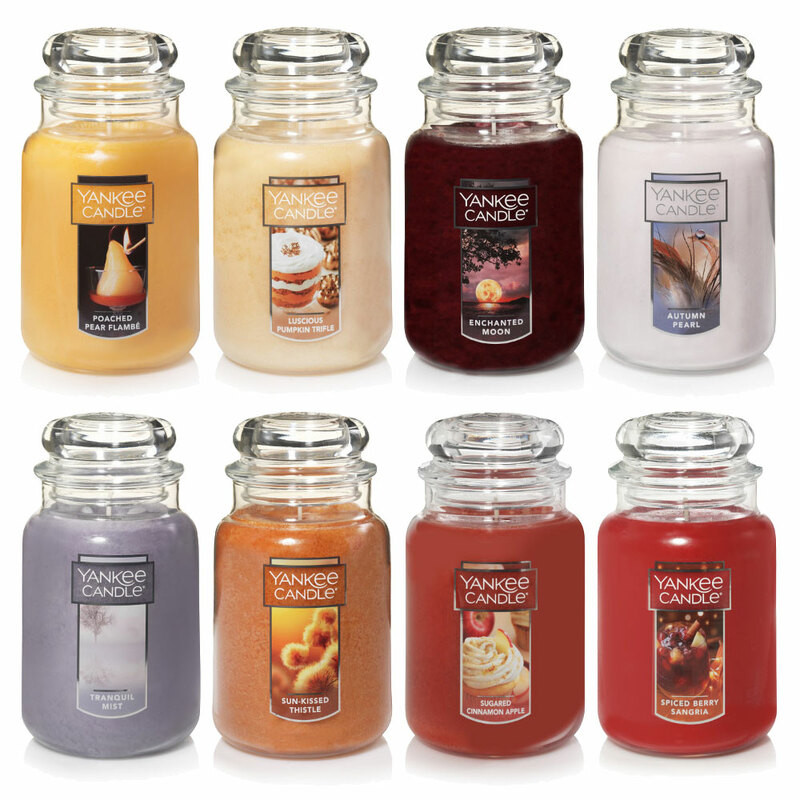 New Fall Fragrances by Yankee Candle - A collection of scented candles in fall inspired aromas. Eight new home fragrances include Autumn Pearl (orchid, vanilla, freesia), Enchanted Moon (peony, juniper, teak), Luscious Pumpkin Trifle (cinnamon, vanilla cake, cream, pumpkin), Poached Pear Flambé (pear, caramel, vanilla), Spiced Berry Sangria (berries, apple, cinnamon, ginger), Sugared Cinnamon Apple (apple, cinnamon, vanilla), Sun-Kissed Thistle (citrus, apple, fir), and Tranquil Mist (fresh air, cotton, cashmere, musk). Launched in July 2018 and available in classic jar, tumbler, tea lights, and votives candles, melt cups, and wax tarts. A refreshing treat - sangria spiked with berries, apple, cinnamon stick, and ginger. 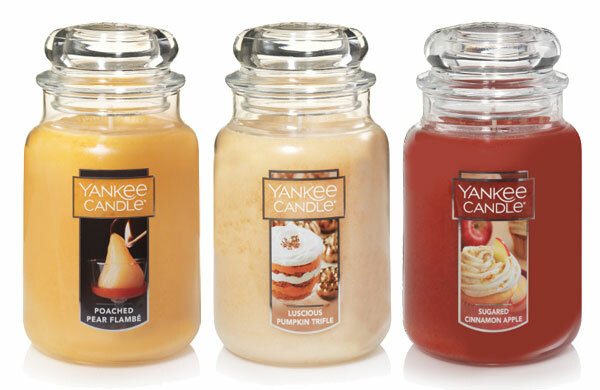 Perfect fall centerpiece - a warm scent of sharp citrus, apple, and fir needle.